With Love Bakery will be hosting an event in the common area of the building. 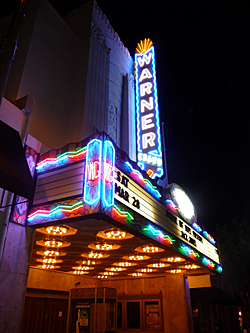 Art galleries, shops and restaurants are open till 9:00 p.m. Food trucks open at 5.pm. Some restaurants have a 1st Thursday Night Special. Most of the participants are on 4th Street to 7th Street, and from Pacific Avenue to Palos Verdes Streets. The Arcade Building is pleased in introduce our new tenant Andergound – by THE LA BARBER. 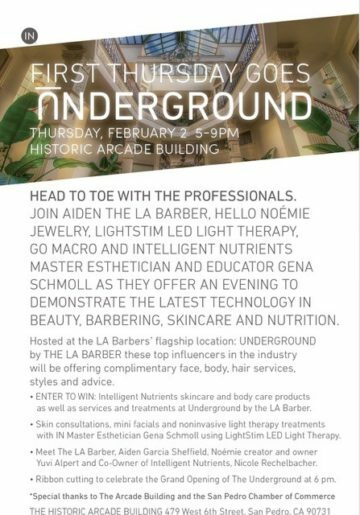 The San Pedro Chamber of Commerce will have a ribbon cutting with the San Pedro Chamber along with some great gift with purchase options along with Intelligent Nutrients performing mini facials and light stem technology. 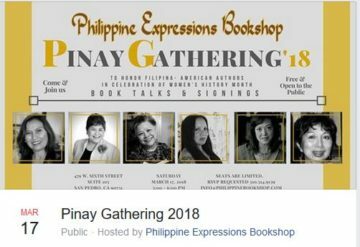 To Honor Filipina-American Authors In Celebration Of Women’s History Month.